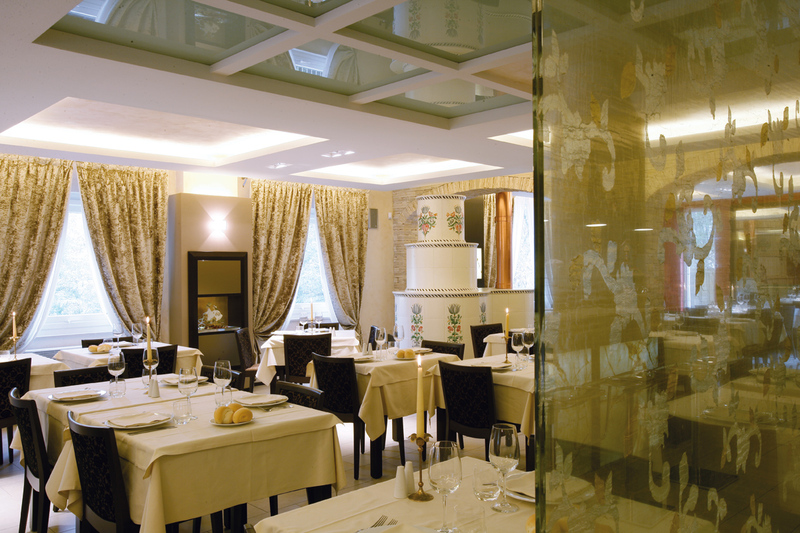 Marcheno restaurant has been appreciated as a culinary reference point for all of Valtrompia for more than 40 years. In our restaurant you can find a modern welcoming atmosphere, where classic elements meet contemporary elements and colors. 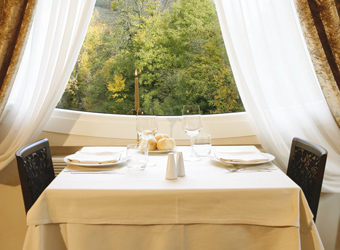 Quickly reachable from Gardone Valtrompia, Sarezzo, Lumezzane and at only 25 minutes from Brescia, Hotel Restaurant Marcheno is without any doubt the ideal place for enjoyable work lunches, as well as for more important occasions such as dinners and banquets. Trust us for your ceremonies: we will make custom menu plans which will suit the most demanding palates. 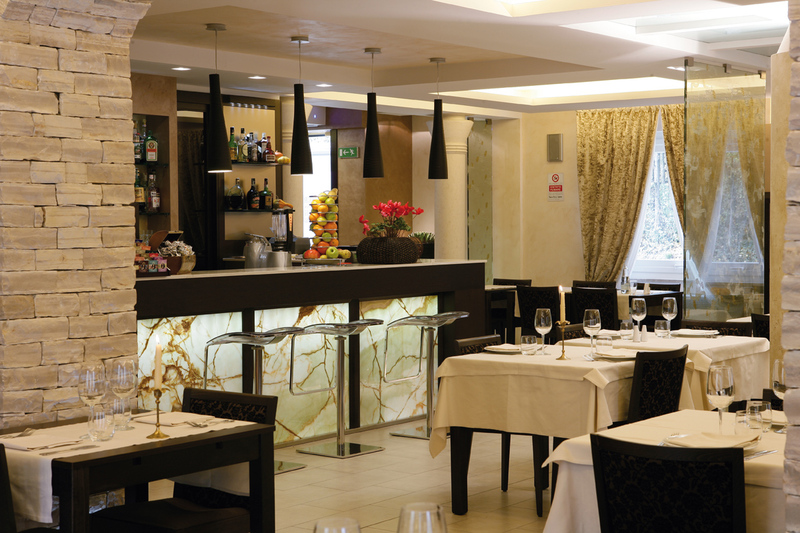 We offer a menu that combines traditional Brescian dishes and a choice of culinary specialities and selected wines. 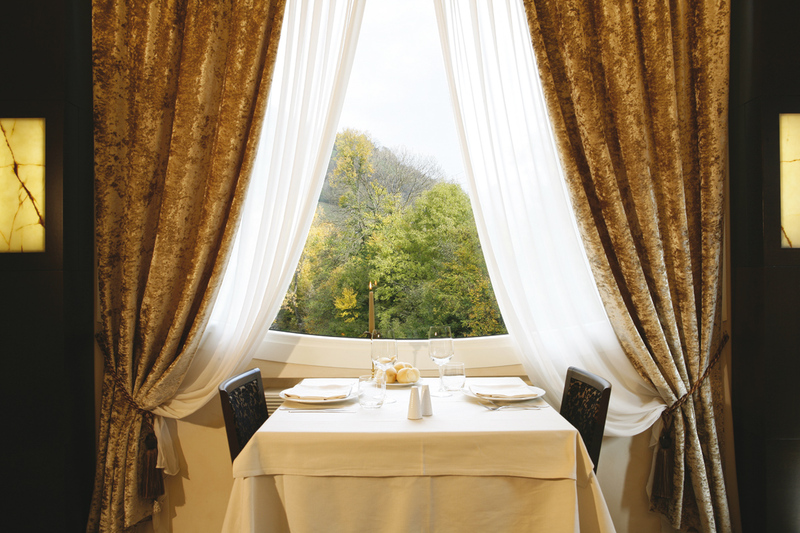 Our cuisine is based on the classic dishes of Brescia valleys, paying particular attention to the selection of products that our territory offers. 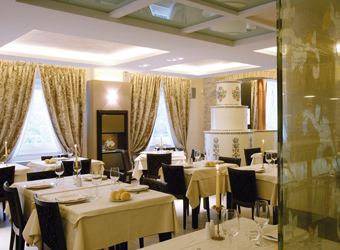 You can, therefore, enjoy the full-bodied flavours of the famous Spiedo and the renowned Brescian style Casoncelli or a characteristic Risotto with mushrooms and local mountain cheese, Tagliatelle pasta with rabbit sauce, Stracotto horse stew and our selection of locally made cold cuts and cheese. These “historic” dishes are accompanied by more modern and elaborate specialties like gnocchi with mushrooms and berries, vegetable cream pie, risotto with bitter cacao sauce as well as our Belle Èpoque appetizers. 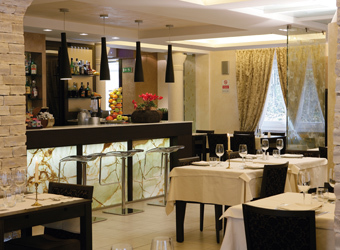 Your dishes will be accompanied by excellent wines selected from our rich local and national production.